Hurry and grab a big discount on Alba Botanica Body Builder Mango Hawaiian Shampoo on Amazon! Get a bottle of this highly rated, natural shampoo for as low as $4.85 when you choose Subscribe and Save! I haven’t tried this brand shampoo yet, so I grabbed a bottle as this is such a hot price! It normally goes for $10! You can also score Alba Botanica Drink It Up Coconut Milk Hawaiian Conditioner for as low as $4.14 when you choose Subscribe and Save! There is a minimum order of 2. You can stock up at these prices! 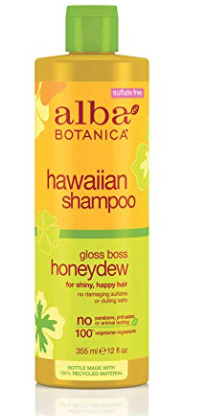 While you’re there you can also get Alba Botanica Go Smooth Gardenia Hawaiian Anti-Frizz Serum for as low as $5.52 (reg. $9)! I grabbed this deal also! *Subscribe and Save price based on 15% discount when you order 5+ S&S items in a month, otherwise S&S discount is 5%. Either way, a great deal!